The Marconiphone receiver is a 3-band Superhet using five valves including the rectifier and is powered by AC or DC mains, it comes with a short wave range of 16.5-50metres. 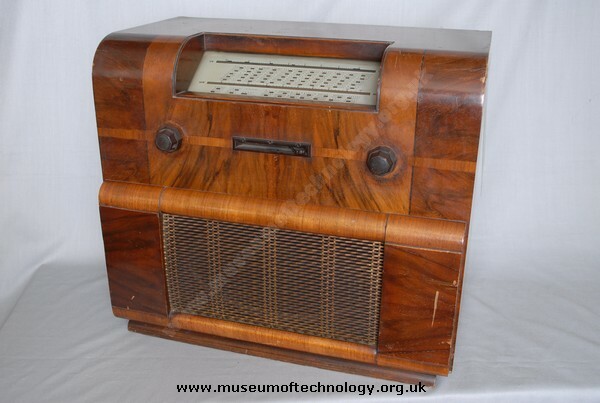 Its chassis is similar to that used in models 392 radiogram and 355 Automatic radiogram, also the HMV models 486 table version and 487 Radiogram. The valves used are:- X31 - W31 - D41 - N31 and U30. In September 1936 this wireless set would cost �14.3s.6d.